So today I decided to share yet another wonderful recipe from my superbly talented Greek blogger friend Krystina Kalapothakos who runs the food blog Kouzounas Kitchen. Every Friday Krystina features a menu which includes a starter, a main and a dessert, for readers to try and this one has an added bonus of being extra healthy! To see more of Krystina’s recipes you can click on the logo I designed for her on the right hand side menu or you can read the original post here. 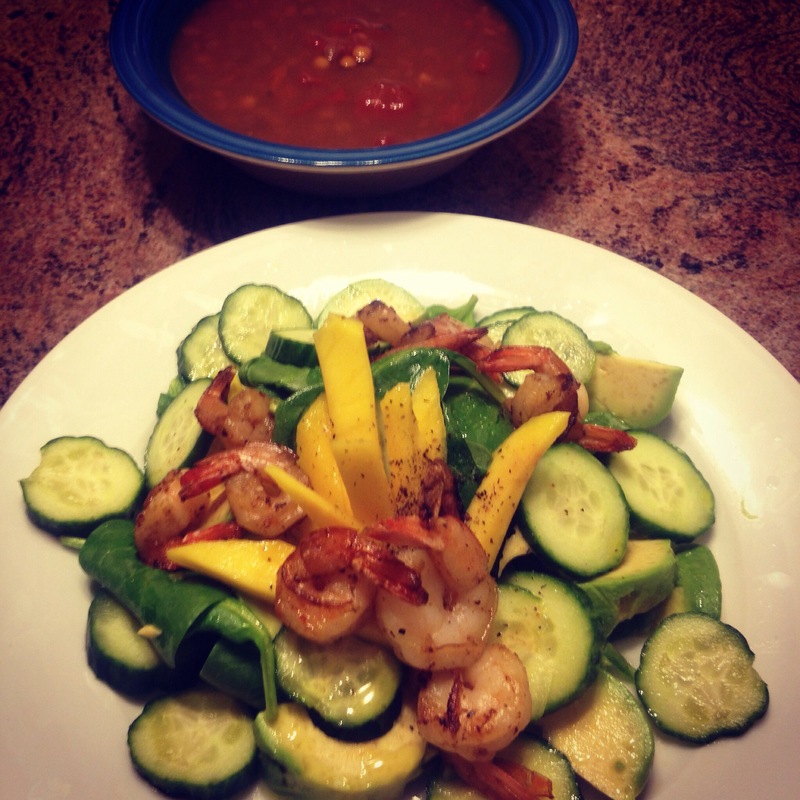 Friday Menu : Healthy Shrimp Salad, Greek Lentils & Fruit Platter. Happy Friday!! Friday’s Menu is packed with three healthy recipes. Enjoy and have a wonderful weekend. 1. Saute the shrimp, and garlic along with 2 tablespoons of olive oil, and wine in pan over medium heat. 2. Cook shrimp until shrimp are golden brown on each side. 3. While shrimp are cooking, prepare spinach. 4. Place spinach in a bowl, add avocado, cucumber, and mango slices to the bowl. 5. Whisk together the remaining olive oil, mandarin juice, lemon juice, and season with salt & pepper. 6. 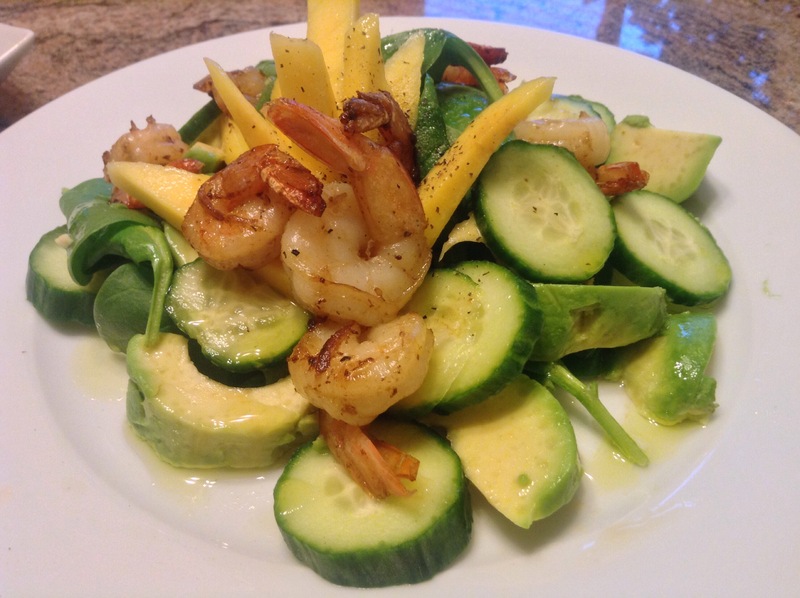 Add shrimp to the salad, and drizzle the citrus dressing over the salad. In a heavy pot, add the water,wine, tomato puree, bay leaves, onion, and garlic. *Use a variety of seasonal fruit. 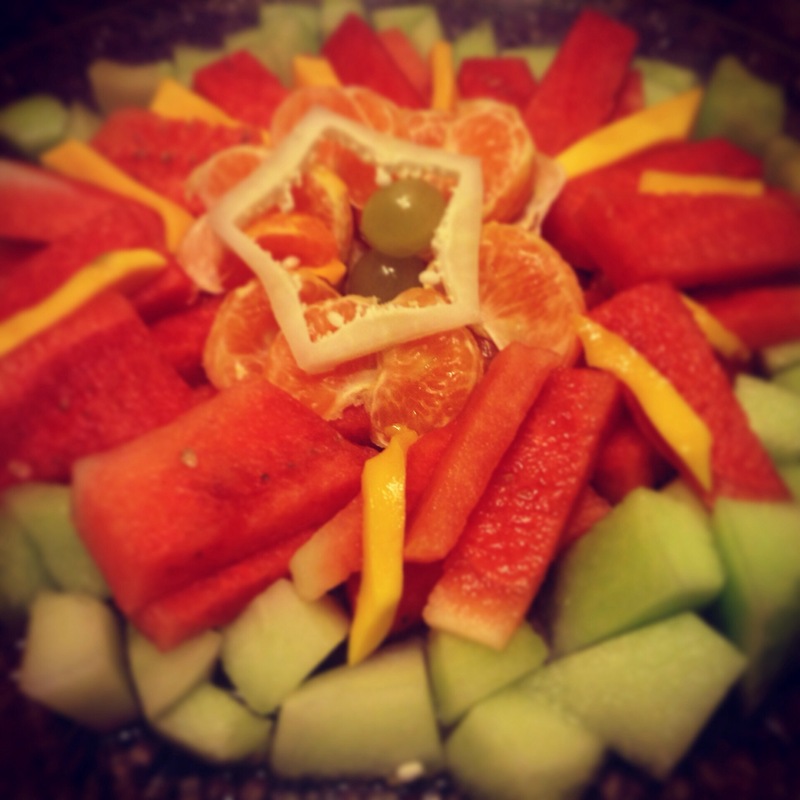 Dice each fruit, and layer them nicely on a platter. You can serve fresh Greek yogurt in the centre of the plate, add drizzle honey over the top. Aww thank you for sharing this my beautiful friend. I appreciate all the lovely comments, and blushing. 🙂 I hope one day I can cook for you and the family. Polla Polla filia!